Is Virtual Reality and 3D Videos Right for Your Company’s Training Program? Traditional methods of training workers may be quickly on the decline in favor of virtual reality and 3D video based training programs. With “the global e-learning virtual reality market is expected to reach approximately USD 339 million” by 2023, these new training programs appear to be quickly and widely used as a method of training. But is a virtual reality or 3D video based training program right for your company? What Does a Virtual Reality or 3D Video Based Training Program Look Like? The two best words to describe a virtual reality or 3D video based training program are “immersion” and “customization”. Watch a virtual reality experience showcasing an autonomous TMA in a work zone. Unlike watching training videos or reading a training manual, these new training methods allow the trainee to be immersed in the training program. The individual can actually experience their future operations in the virtual world, thus giving them a better understanding of the task’s needs. Watch a 3D animation video of a lane closure flagging operation. Every part of this experience can be customized to suit your company’s needs. Additionally, these programs can be completely customized to suit your company’s needs. Because these programs can be uniquely tailored to you, the individuals being trained will have a clear idea of what they will be asked to do and how exactly to do it in the safest manner possible. These programs can be customized to train on large tasks, such as a full lane closure operation, or something as small as an individual task in the program. Perhaps, the best use of the virtual reality or 3D video training program is for dangerous work environments, such as highway construction zones. In 2016, there were 765 fatalities in highway work zones across the United States. Operational errors in highway work zones have the potential to lead to fatal outcomes. Even if the mistake is not fatal, it could potentially lead to serious injury to the worker. In an article by Satish B. Mohan and Padma Gautam entitled “Cost of Highway Work Zone Injuries”, “Construction/maintenance workers suffer approximately 27,000 first-aid injuries and 26,000 lost-time injuries per year at a total annual cost of $2.46 billion.” Insufficient training has a significant cost if undertraining leads to costly mistakes and accidents, in addition to the workers injured. By implementing a virtual reality or 3D video training program, workers have the chance to perform the operation step-by-step, allowing them to safely experience what they are tasked with doing before they are tasked with doing it in the real world. A mistake in the virtual world is a teachable and correctable error. An operational mistake in a real world work environment, such as in a highway work zone, could potentially lead to a fatal outcome. As previously stated, virtual reality and 3D video based training programs are becoming increasingly used, but many still question if they are more effective than standard methods of training. There are 2 major reasons why these new training methods far surpass methods used in the past. These advantages include the trainees having a high retention rate and the information being able to be processed significantly quicker. Having a higher retention rate, especially after a period of time, is essential to having a safe work environment. If workers do not recall the proper techniques and skills that they were trained to do, they are much more likely to develop bad operational habits, potentially creating an unsafe work environment. Another aspect of virtual reality based training programs that far exceeds their traditional counterparts is the speed at which the training periods can be completed. Our brains can process visual information “60,000 times faster than text.” Because human brains are much more adept to process images rather than text, virtual reality has an inherent advantage compared text-based training manuals. Combined with virtual reality training programs’ advantage in having a higher retention rate over a much longer period of time, these programs are much more suited to be the training programs of the future. Why should you spend more time than necessary for workers to retain less information through traditional training programs? Virtual reality and 3D video training programs are quickly replacing training programs of the past. Ideally used for companies with dangerous work environments, these new training programs give new employees the chance to experience an operation that they will be tasked with doing in the real world in a safe, teachable environment. Virtual reality and 3D video based training has also proven to be a much more effective training solution compared to there counterparts, such as training videos or manuals. Not only can these new training programs be tailored to your company’s unique needs, but they have also been proven to leave trainees with a higher retention rate of the information for a longer period of time. 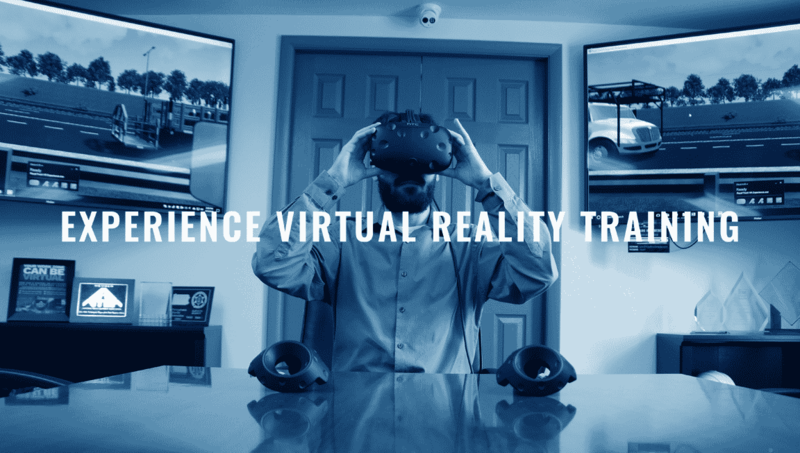 If your company is looking to revamp its training program, leading to your workers being better prepared for the operations they will face, virtual reality and 3D animation video training is the best way to have a safer and more productive work zone.